Charles Fréger has been seeking to establish a collection entitled: “Portraits photographiques et uniformes”. His series devoted to groups of sportsmen, soldiers or students, taken in Europe and across the world, focuses particularly on what they are wearing, on their uniform. His first series was called “Faire face”, as for him the meeting of the photographer and the model takes the form of a subtle clash so to better appreciate the substance of a being in the world and of its belonging to a social body. Solidarity and team spirit are the motivation for these individuals where the outfit, both the pose and the clothing, embodies “Looking the part” or “Judging by the cover”. But the uniform, static side of the photographic image, the side which aims to neutralise the presence of the photographer to benefit the faithful recording of the subjects, is only apparent. The choice of poses, the detail in the hands or in the lines on the faces, as well as the importance given to the composition of the image restore the intensity of the presence, the adequacy between the person and a universe marked by its codes and its place in a society. 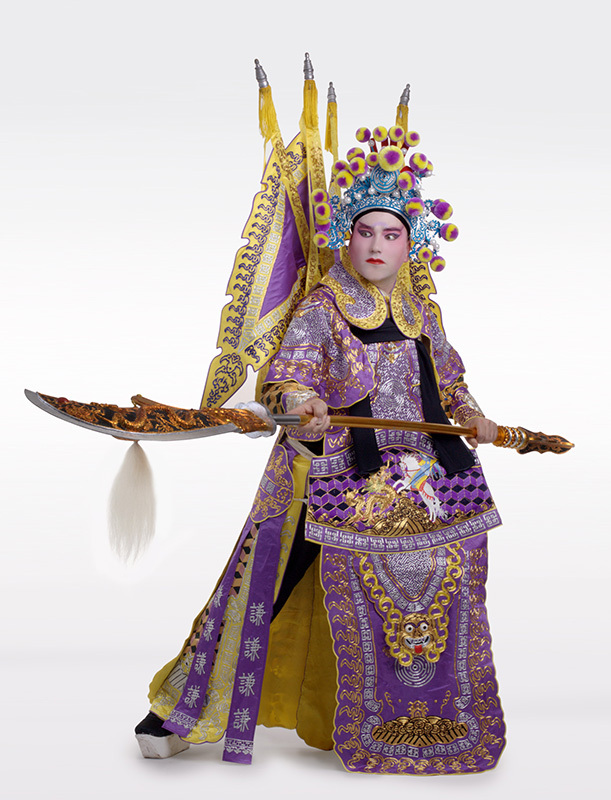 Exoticism has a part in it, whether inside as for the different army corps or sports teams or abroad at the Peking opera or with the African tribes. This reinforces the game of diversity and otherness which is one of the principles of : “Portraits photographiques et uniformes”. Charles Fréger has chosen communities where the outfits take on their most sparkling and prestigious appearance (Steps, Empire, Opera) as well as the more modest ones where the corporate image epitomises life in Europe (Bleus, Sihuhu) or on other continents (Umwana, Ti du). Ceremonial regiments and troops of western elites rub shoulders with Rwandan orphans or Vietnamese monks where the exotic dress doubles as an almost ethnographic vision, close to that of August Sander. However, whether it’s a point of scientific or technical ambition for Charles Fréger, he knows he needs to be careful about entomological anachronism: sticking our surprising neighbours on bland backgrounds like insect specimens to be examined under the magnifying glass of colonial science. With his work, he takes care to present his subjects in harmony with a place, a time and a community as if to better convince us of our implacable ties to the excesses of appearance and the social aspect of position or status. Charles Fréger explores the genre of the portrait as an artist, constantly looking back at history and the methods as if an official painter in the service of himself, of all and of the entire world. If academia is in his protocol, it’s deliberate, as if to further question the portrait of opulence, as he always starts from there: a portrait where the models must be subjects restored with their identity but also their dignity.